Where To Buy Laptop Sleeves and Phone Cases Online? You’ve spent what you needed to get your hands on that sleek gadget, spent all weekend figuring it out and checking out all the features, and almost cried because it was so awesome. That’s not the end, though, and there are still a lot of cool things you can add to your favourite gadgets to make them look even better. Here are the online outlets you can find them. One of our favourites, Postbox is an ideal choice for laptop bags and sleeves. While the collection is not super-comprehensive, their minimal and geometric designs are worth a try. Already popular as a one-stop-shop for mobile covers in our office, Daily Objects wins with the sheer size of their collection. And it’s updated quite often, too. They have a fabulous assortment of laptop sleeves as well, though only for Macbooks. With a collection full of colours and gorgeous designs, this one is for the art-lovers out there. 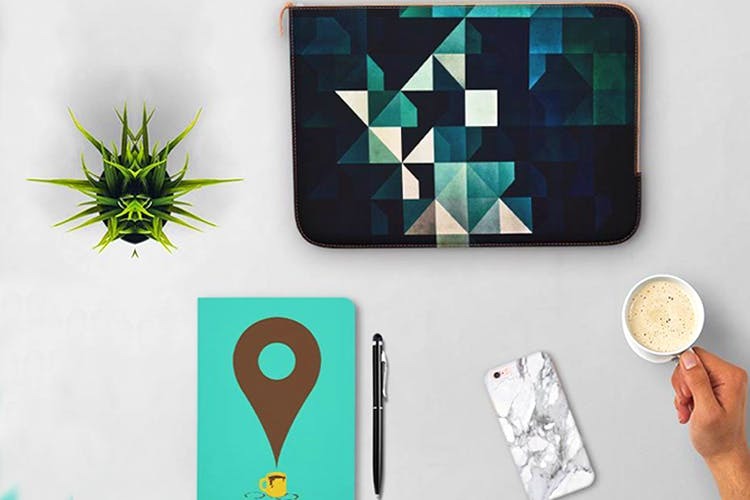 They have a pretty varied collection of gadget accessories too, including tablet covers, laptop sleeves and bags, mouse pads and phone covers. Mohawk specialises in bags, and their laptop bag collection is noteworthy, even though they don’t have a centralised website to order stuff on. Their designs are classy and good for professional settings, though they have a lot of options on the casual side, too. Propshop24 stands out with their witty slogans and youth-oriented, catchy designs. Check them out for their versatile collection of mobile phone covers and laptop sleeves.